Under the best circumstances, most identity protection services can only provide a few ways to prevent identity theft. That’s because the protections they offer only operate at the credit bureau level, which reports on transactions related to credit cards, loans, and mortgages. Things like obtaining fake driver’s licenses, receiving medical care under a false name, and giving a fake SSN to avoid arrest typically don’t go through the credit bureaus so identity protection services aren’t able to help. The problem with any sort of identity protection is that nothing is foolproof. Protecting yourself at the credit bureau level only works as long as the agency issuing the credit actually goes through the bureaus. If they don’t, they have no idea that you’ve put protective measures in place, and they may go ahead and issue credit to an impostor. It’s almost impossible to protect yourself against driver’s license or medical fraud because most state agencies and healthcare providers don’t run checks at all and assume the information is legitimate. It’s also very easy for a thief to steal a credit card or bank account number and treat themselves to a shopping spree that you learn about only after you’re missing the funds. A protection service cannot stop these types of transactions. Only constant vigilance and some proactive steps on your part can help to prevent identity theft, and even then, you won’t have a 100% guarantee. So if it’s so hard to protect your identity, what can you do and should you pay someone else to do it for you? The answer to the second question is a definitive “No.” What most identity protection services claim to do, you can take care of on your own for free. You’ll get the same level of protection and have control over the process (and you won’t be giving out your personal information to yet another company, which puts you at risk if their database is ever compromised). As for what you can and should do, below are the four main protections that many of these services employ and how to do them yourself. Then I have some ideas that go beyond their protection. This is free to do. All you have to do is call one of the bureaus or visit their website and answer the questions. You don’t even have to speak to a person. The alert is then passed from the bureau you contacted to the other two — you don’t even have to contact the other two, it’s done for you. The alert is good for 90 days and lets credit issuers know that you may have been the victim of fraud and that they should request additional information or documentation before issuing credit. It doesn’t stop the issuance of credit but it does, if followed correctly by the issuer, cut down on incidents of identity theft. You can renew the alert every 90 days. Contact Opt-Out Prescreen or call 1-888-567-8688 (888-5-OPT-OUT) to remove your name from pre-screened credit card offers. Contact the Direct Marketer’s Association to be removed from many junk mailing lists. The DMA is the largest database used by solicitors, so opting out with the DMA greatly reduces junk mail. Read the privacy policies of companies you do business with and find out how to let them know that you don’t want your information shared. If you get junk mail with a prepaid mailer, you can stuff their materials into the envelope and write, “Remove me from your list” on the material. This usually works, although it may take awhile. Make certain when doing business online that you uncheck any boxes that say, “Contact me with future offers,” or similar. Many websites pre-check these for you in the hopes you won’t notice, leaving it to you to opt out of their crap. You are entitled to one free credit report per year from each of the three major credit reporting agencies, Experian, TransUnion, and Equifax. You get these reports through AnnualCreditReport.com and should only use this site. Others that sound similar require you to pay. But don’t request them all at once. Since you can get one per year from each service, you can request one every four months to keep a constant eye on your credit. So, for example, if you request from Equifax in January, wait until May to request one from TransUnion. Then request one from Experian in September. Then, when January rolls around, you request from Equifax again and keep the cycle going. This means you’re seeing your credit report once every four months which lets you catch potential problems quicker than if you look at it only once a year or less often. Keep records of your credit card numbers, bank accounts, insurance cards, and driver’s license information (and contact information for each agency) separate from your wallet or purse. Make photocopies of sensitive items that you carry and keep them in a secure location separate from your wallet. If your wallet or purse is stolen, you can quickly contact each bank and card issuer and notify them of the theft so they can shut down your accounts and open new ones. If you want to go beyond these services (and you should), here are other steps you can take to help secure your identity. Shred anything with your SSN, bank account numbers, address, or other personal information. Be especially sure to shred pre-approved credit card offers and balance transfer checks. Get a cross-cut shredder or “confetti” shredder because these reduce your papers to tiny bits that are almost impossible to put back together. Some shredders make strips which are too easy for a thief to put back together. This isn’t free, but the peace of mind is worth it. It is similar to a fraud alert except that it cannot be ignored by a lender. 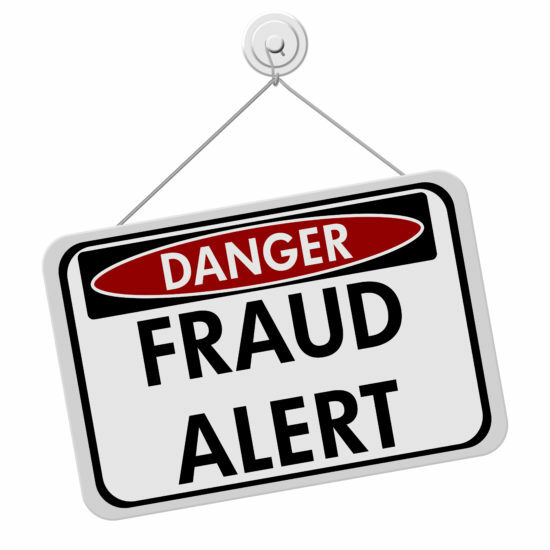 A fraud alert merely tells a lender that you may have been a victim of fraud and that they should request proper identification and verification before issuing credit. However, a freeze locks your credit file so that it cannot be viewed at all unless you “unfreeze” it. There is a fee to freeze your credit and another fee when you want to unfreeze it, so if you’re actively pursuing loans this option isn’t for you. Freezing your credit also means that you can’t be spontaneous about getting credit. If you’re shopping and see a great same as cash deal or want a store credit card, you’ll have to wait because you’ll have to unfreeze your credit before you can apply. Freezing and unfreezing aren’t instant — there are a few days of processing time — so be prepared to wait if you need credit in a hurry. It is common for restaurants to take your card away and run the payment at a register out of your sight. Unfortunately, some servers are dishonest and run your card through a “skimmer” that captures the card’s information so a new one can be made. Bring cash to restaurants that you know will take your card away. Also don’t let a clerk in a store take your card out of your sight. Some dishonest clerks will say they have to get manager approval of your transaction, then go to a back room and skim your card. Thieves will attach skimmers to ATM slots to capture card information and PIN’s. You may notice that the slot looks lumpy or not firmly attached to the machine, or as if there is another piece of hardware attached to the front. If it looks fishy, don’t use it. This is less likely to happen at bank ATM’s since they are more aware of the problem and may be more religious in checking their machines. However, it can happen anywhere so be vigilant. When at an ATM, cover the keypad with your hand and do the same as you tap in the information on pads in stores. In a store, you can avoid entering your PIN altogether by running the transaction as “credit” rather than “debit.” It doesn’t change how you withdraw your money, you just don’t have to enter your PIN. You hear it all the time, but it bears repeating: Never give personal information out over the phone unless you initiate the call and never enter information into a form you reached by a link in an email. Always type the website directly into your browser and navigate from there. If in doubt, call the company that sent the email or made the phone call and ask if it’s legitimate. Having an unlisted phone number cuts down on the number of phone solicitations you receive and cuts down on people just pulling a phone number and address out of the book and giving it as their own. It also cuts down on some junk mail solicitors that compile their lists from phone listings. Many places that ask for your SSN (except banks or those issuing credit) will accept another identifier if you ask. Many are aware of the problems of identity theft and may be willing to work with you. If someone asks for your SSN, ask why they need it and if there is an alternative and, if you’re not satisfied with the answer, consider whether or not you’re willing to take the risk. Don’t carry anything with your SSN in your wallet or purse unless you are going to need it that day. If your wallet or purse is stolen it’s a pain to cancel and reissue credit cards and bank accounts, but it’s so much worse if the thief gets your SSN in the bargain. While you’re at it, purge your wallet of any credit cards, insurance cards, or other identifying information you don’t use on a regular basis to cut down on the items a thief has access to. Install antivirus and anti-spyware protection on your computer to prevent anyone from installing malicious software that can capture your personal information or transmit it to another party. Make certain websites are secure before entering personal information (look for “https” in the web address and/or a lock icon in the browser window). Don’t enter personal information when using public computers at schools, universities, libraries, coffee shops, etc. You don’t know what kind of protection, if any, they have in place. Don’t put your SSN, phone number, or driver’s license number on your checks. In the old days, the advice was to put this information on checks to speed processing and verification. But now this is just more information that a thief can use against you. Only put your name and address on a check. If the person taking the check requests additional information, you can give it if you feel comfortable (but don’t give the SSN — they don’t need that), but otherwise don’t give it out. Many banks and credit cards now offer online access to your accounts. Take advantage of this and monitor your accounts daily or every other day to check for suspicious activity. This gives you a chance to quickly catch a thief before there is too much damage. If you only wait for the monthly statement, you may be too late. Receiving bills and account statements electronically cuts down on the chances of someone intercepting your information in the mail, either through intentional theft or in the even your mail just goes to the wrong place. Keep sensitive documents (tax returns, bank statements, passports, Social Security cards, etc.) in a safe. If your home is broken into, a safe may keep your information out of the wrong hands. Alternatively, you can rent a safe deposit box at your bank but this can be inconvenient if you need the documents and the bank is closed. And don’t keep documents any longer than necessary. Shred or burn statements, tax returns, and old bills that you no longer need. Opting out of junk mail and signing up for e-billing and e-statements where possible will greatly decrease your risk of mail-related identity theft, but you can go further. Don’t leave sensitive outgoing mail in your mailbox for pickup. It can easily be stolen while you’re not looking. Take it to the post office. If you’re going to be out of town, either have your mail held at the post office or have a trusted friend pick it up. Don’t let it pile up in the box where thieves can get to it. Retrieve your mail as soon as possible. If you aren’t home when the mail comes, get it out of the box as soon as you get home. Don’t leave it there overnight. You might also consider a locking mailbox. These are so mail deliverers can open and close them, but after that, you’ll need a combination or a key because it’ll reset for the next day’s delivery. Each day there are more stories of contractors or delivery people who enter homes and steal the homeowners’ identities. Maybe they left their checkbook out in the open, or an old bank statement, or an insurance claim with their SSN on it. In any event, the contractor simply needs to copy the information and they’re able to steal the homeowners’ identity. If you’re having contractor services or deliveries, make certain that any compromising information is out of sight and preferably locked up. And be sure to keep an eye on the people who are in your home. Yes, you can pay a service to do some of these things for you, but if the protection you’re paying for is no better, or possibly worse, than what you can do yourself for free, why pay for it? Taking some simple steps and using some common sense can go a long way toward protecting your identity. There is no guarantee, even with companies that charge you for protection. If you’re the victim of a particularly savvy or determined thief you may still have your identity stolen. However, if you are proactive about protecting yourself, you’ll be able to identify potential problems sooner than if you do nothing. Have you had your identity stolen? Share with us in the comments below. What Is Your Insurance Score and Why Does It Matter? It’s hard for young Americans to leave the security of their childhood home and find their way in the real world. It’s even harder when identity thieves have stolen their identity and ruined their credit before they even have a chance to establish their own record. The Federal Trade Commission (FTC) reported just under 14,000 cases in 2017 and over 15,000 cases in 2016 involving identity theft of Americans age nineteen and younger. The credit bureau Experian reports that around 17 percent of their annual fraud cases target children, and they estimate that 25 percent of children will experience a form of identity theft or fraud before they turn eighteen. Identity thieves consider a child’s ID a gold mine. Parents don’t think to check for fraudulent accounts established in their minor child’s name. They may not find out about the identity theft until bills or collection notices arrive or tax forms are rejected – perhaps years after the damage is done. How do thieves get children’s information? A Social Security number is generally all they need – the rest can be pieced together with a basic Internet research. Think of all the places that your child’s Social Security number is collected and stored – schools, medical facilities, tax forms, day care centers – even sports leagues and summer camps often require Social Security numbers for identification. Every reveal of your child’s Social Security number is an opportunity for hackers to steal that information. Hold back your child’s Social Security number and other personal information unless it’s essential. Safely store any documents containing your child’s personal info and shred the non-essential ones. Consider your definition of “safe” very carefully – family members and friends can also perpetrate child identity theft. Social media also provides plenty of information for thieves to use. They may not find a Social Security number, but they may find enough information (place and date of birth, etc.) to successfully open accounts. Be careful about what you post online. If your child has a credit report, you can place a credit freeze in your child’s name with the three major credit bureaus (Experian, Equifax, and TransUnion). If your child has no credit file, you can create one and place a freeze on it. The recently-passed Economic Growth, Regulatory Relief, and Consumer Protection Act will make these actions free starting in September 2018. A credit freeze prevents anyone from accessing your child’s credit file – even you or your child – and prevents thieves from opening an account in their name. You can unfreeze the file when your child reaches age seventeen or is ready to establish credit – but be sure you properly store the PIN number required to unfreeze credit when the time comes. If you haven’t checked to see if there is a credit report on your child, do so now. You can limit the damage caused by any identity theft and start the long process to clear your child’s name. The Identity Theft Resource Center is an excellent resource for helping you assess the problem and walk you through the reporting and repair process. Hopefully, there’s no damage and you can take pre-emptive action to keep identity thieves from opening accounts in your children’s names. Do your children a favor and protect their identity and their credit to the best of your ability. Give them every opportunity to start life on their own with a clean slate – and then you can discuss whether their old room will be a craft room or a mancave. Uh, Oh, Identity Theft by a Friend or Relative — What to Do? According to a 2018 survey, nearly 60 million Americans have dealt with identity theft at some point in their lives. While many people assume that strangers are the only threat, some people have their identities stolen by someone they know. Since friends and family typically have access to intimate details about your life, it’s easier for them to accomplish identity theft than many would like to believe. Being a victim of identity fraud is always hard, but, when the identity theft is by a friend or relative, the blow is crushing. Luckily, you can move forward from this event by following the steps below. One of the first things you need to do is review your credit reports from all three bureaus. The easiest way is through AnnualCreditReport.com. The process is fairly easy. You’ll need to confirm your identity and request your report from each bureau. You’re entitled to one free credit report from each bureau per year. You’ll also need to contact at least one of the three credit bureaus and add a fraud alert. This locks down your account for 30 days, during which time no one can open new credit in your name. However, if you can provide a police report documenting the issue, you can get a longer-lasting fraud alert; alternatively, you could just set up a reminder on your phone to renew the alert every 30 days. Even if you aren’t sure if you’re a victim yet, a fraud alert gives you time to sort out the situation safely. While federal authorities only pursue larger cases, the FTC monitors all incidents of identity theft. Let the agency know about your situation by filling out an ID theft complaint and affidavit form. Doing so helps the government spot patterns and find ways to create a more robust system. Once you know which companies have fraudulent accounts or activity, you need to reach out quickly. Ask to speak with their fraud department and let them know your identity was stolen. You can request they close or freeze the accounts, ensuring no new charges will occur. In some cases, they’ll require an FTC identity theft report to document your case, so you want to handle that first. Regardless of whether you can confirm any fraudulent activity taking place using your identity or accounts, you’ll want to be proactive about security. Change all of your online passwords, along with personal identification numbers associated with any cards you might have. The person who stole your identity isn’t automatically pursued by law enforcement. For that to happen, you need to file a police report. Bring a copy of your FTC report along with your identification, proof of address (like a utility bill), and any evidence of the theft to your local police department and ask to file a report. Once the report is complete, make a copy. That way, if a creditor requires that document, you have it available. Signs of identity theft might not show up in any of your credit reports right away — so you’ll want to check them on a regular basis and follow up on anything you dispute. Consider signing up for any of the free services that enable you to keep tabs on all three bureaus’ reports in one place. Carefully read your credit reports to see whether any information changes and notify the bureaus of anything that’s amiss. Provide them with a copy of your FTC identity theft report (if you haven’t done so already). Once they have this document, they have to block any new changes to your records. In some cases, an identity thief uses a person’s Social Security Number to secure employment. If that happened to you, contact your local Social Security Office for assistance. Unfortunately, it’s not uncommon that an identity thief might supply your identifying information after being arrested for a crime. This is why it’s a good idea to file that police report as soon as you learn of the identity theft — but if you learn of additional crimes being perpetrated with your contact information, you should file an additional report regarding the impersonation. Provide law enforcement with copies of your ID, a photograph, and your fingerprints. Request that officers compare your information to the criminal’s and remove your name from the records once they confirm you didn’t commit the crime. With each visit to the police department, make a point of recording the name and contact information of every officer you speak to while resolving the issue. Request a clearance letter or certificate of release as well. This document says you were innocent. Keep the letter in a safe place. Be prepared for the possibility that the identity thief might try to file a fraudulent tax return on your behalf and attempt to claim your refund — file your taxes early so that no one else can horn in on what’s yours. It’s also a good idea to complete an IRS identity theft affidavit to further prevent any would-be thief from claiming your return. Identity thieves may try to open new accounts in your name. They could be credit cards or utilities, for instance. You can find a comprehensive list of steps to take in these scenarios at IdentityTheft.gov. While you typically have to deal with a lot of red tape when trying to minimize the damage caused by identity theft, don’t take any shortcuts: You might not be able to see the full effects of this crime until it’s way too late — because someone who already knows you can cause a lot more problems than a stranger. When the perpetrator’s a friend or relative, you really need to put in more effort to tamp out the crime. If you can stay the course and be thorough about following all of the steps listed above, you’ll eventually get it taken care of. Readers, have you ever been a victim of identity theft or fraud — if so, what were your experiences in combatting it? If you haven’t experienced it, what sorts of things are you doing to protect yourself, if anything? People who don’t exist held $355 million in outstanding credit card balances last year. 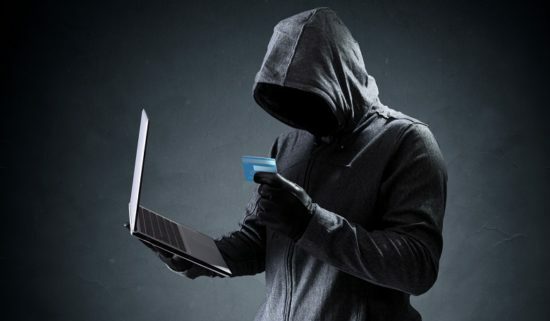 So-called synthetic identity fraud is one of the fastest growing types of credit-related crimes, increasing eightfold since 2012, according to TransUnion. While this represents a small part of the estimated $16.8 billion in annual identity theft losses, the share is growing. Known as synthetic-identity fraud, it’s almost like the credit industry’s version of antibiotic resistant viruses: Criminals have developed craftier methods in an attempt to get around the defensive measures used by card issuers. Synthetic-identity fraud occurs when a criminal creates a fictional identity from scratch – complete with a made-up Social Security number – or uses one snippet of real information such as a child’s stolen Social Security number and fabricates the rest. Once the identity gains credibility, thieves can rack up charges without fear of discovery by a legitimate account holder. Creditors will eventually crack down on the overdrawn and overdue accounts – but there is no legitimate account holder to hold responsible. How does a completely made-up identity get legitimacy? Criminals take advantage of seams in the credit application system. When an unknown applicant applies for a source of credit, a new credit file is created. Without a credit history to go with that file, the lender is likely to deny the application – but the creation of the credit file alone provides a basis for future legitimacy. The scammer simply applies for more credit, targeting sources that are tolerant of limited credit histories. As more applications are received, the credit file grows. Lenders can become convinced that the applicant is a real person with no credit history. All it takes is one approved application to convert the credit file into a credit report. The approved use will probably be for a credit-building card with a relatively low limit. Fraudsters make legitimate purchases and pay them off in order to get higher limits before maxing out the card. An instantaneous means of cross-checking Social Security numbers would prevent synthetic fraud. Unfortunately, no such method exists currently. Ironically, the Social Security Administration (SSA) accelerated the problem with a policy designed to reduce identity theft. Prior to 2011, Social Security numbers were issued in a pattern relating the first several digits to the assignee’s zip code. The SSA switched to random numbers, hoping to stop scammers from hacking numbers using information available through public sources. Randomization does make it difficult for scammers to reconstruct a Social Security number – but it also gives the SSA no quick way to verify that a Social Security number has been issued and who the recipient was. Banks must sift through enormous amounts of information to spot synthetic fraud. You can’t do anything to stop synthetic-identity fraud, but you can make it more difficult for a thief to make off with your identity. Protect your information and check your accounts regularly. Make it so difficult a criminal would rather make up new identities than try to steal yours. Fraudulent tax return scams are soaring, but filing your tax return as early as possible might save you from becoming a victim. The IRS issued its second warning of the season about hackers stealing people’s refunds, or at least trying to. Unfortunately, the number of potential victims has been soaring, buffeted by attacks aimed at all levels of the tax preparation and filing industry, according to the IRS. It’s possible this year’s rash of problems have some origins in the widespread data breach at Equifax, which exposed146 million consumers’ personal information. However the thieves obtained the consumer data, they’ve stolen just enough to be able to file a fraudulent tax return — the fraudsters circle back to the taxpayer attempting to recoup the refund, by posing either as the IRS or a collections agency. Some of the thieves have been phoning taxpayers pretending to be a debt collections agency that is trying to correct an erroneous direct deposit — and asking the taxpayer to forward the money to a fake address. Or they request payment via gift cards, which the IRS normally never accepts. Another version of the scam involves an automated call with a robo-voice saying he or she is from the IRS and is about to press criminal fraud charges against the taxpayer, put out an arrest warrant and even blacklist the person’s Social Security number. The recording then provides a phone number to call and return the fake refund. The IRS doesn’t actually call taxpayers before sending written notices or bills by mail — so if you haven’t first received something in writing from the agency, any caller is probably a fraudster. The IRS also doesn’t try to threaten to bring in law enforcement officials to arrest people for nonpayment, the agency’s website explains. The IRS has asked tax preparers to increase the security they use regarding their clients’ information, and recommends that consumers talk to their financial institutions about whether to close accounts that were previously used for direct deposits of refunds. Use any electronic tax filing software and you’ll be able to find out right away whether a fraudster has already filed — your attempt to file a return will bounce. You’ll have to file your real return via paper and include IRS Form 14039, Identity Theft Affidavit. From there, you’ll want to immediately to the three credit bureaus and put in a fraud alert; report the incident to the Federal Trade Commission’s website identitytheft.gov, report the crime to the police and talk to your bank about closing the account in question. It’s in your best interest to return an erroneous refund because the law allows the IRS to charge interest on them. If you received a refund via direct deposit, you need to have your bank send the payment back and then call the IRS (for individuals, it’s 800-829-1040 and for businesses, it’s 800-829-4933) to explain why the direct deposit is being returned. If you got the erroneous refund in the form of a paper check and you haven’t cashed it, write “void” on the back of it and mail it back to the IRS. If you’ve already cashed the check, you can write a new check in the amount in question. With either of the aforementioned methods, include a written explanation of why you are returning the payment, and include your Social Security number or taxpayer identification number so that your account can be credited. The U.S. Department of Justice website also provides great advice on the topic, including links to enforcement actions taken against perpetrators. Long story short, it behooves you to file your taxes as early as possible this year to pre-empt any bogus filings by fraudsters attempting to horn in on your refund. Readers, have you filed your tax return yet? When I say anything, I mean anything sensitive. Social security numbers, bank accounts, card numbers, and addresses. This type of information should not be shared with anyone you don’t know. If you have someone call you or email you and they ask for anything like this, hang up the phone and delete the email. You cannot believe the number of people that fall for scammers like this. Some of them try to bait you saying your information has been stolen or you have debt that has gone to collections and they need money. If you weren’t expecting the call or the email, don’t respond and don’t give them anything. You don’t need this with you. There are times when you need your number, and that is something that you should have memorized. Sure, there are times when you need a second form of ID, but you should know this in advance and can get it at that point. Don’t carry it everywhere. Keep and file only necessary information. Year-end statements, tax returns, and openings and closing of new accounts should be kept. Anything else you receive that you don’t need should be shredded. If you keep paper files, get a lockable file cabinet or a safe. If you store everything online, use a complex password. A complex password includes at least 8 characters, upper case and lower case letters, numbers and special characters. Have at least one back-up in case your computer dies. Don’t reuse the same password for multiple sites and accounts. Make sure your devices are secure. Require a passcode to unlock, and use device encryption if you are able to. Another great way to protect your logins and devices is to use two-layer authentication. Most large technology companies are using this. You first sign in using your username and your [complex] password. The website or program will then send you a code, usually six digits. You will then enter that code to complete the authentication process. Sign in to your various accounts (credit cards, bank accounts, and mortgage lenders) where bills and such are paid. Monitor the activity in your account frequently. If something doesn’t look right, call the company and get an explanation. You can set up fraud alerts with the three credit reporting agencies. You can also set alerts on your credit card accounts and bank accounts. This is an easy way to keep you up to date with your sensitive information. There is vital information that we need to keep private for us to live our lives. Social security numbers, card numbers, and bank accounts are all key pieces of information that we need and use every day. If any of these are compromised, it begins a long process requiring time, energy, and sometimes money to repair the damage. 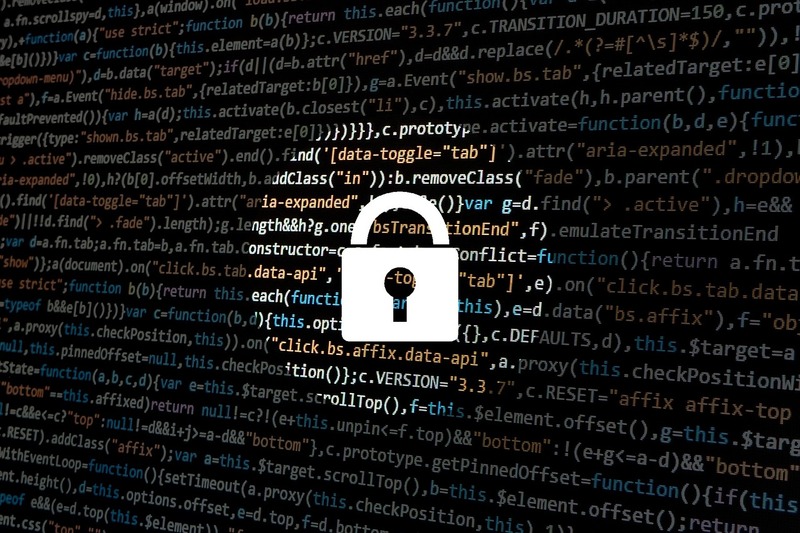 Using these tips to keep your data private should give you some piece of mind. Join the discussion about Equifax in the Saving Advice forums.